There are 84 vehicles that match your search. ﻿Topping the What Car? Reliability survey for eight successive years, this car brand produces dependable vehicles, that all offer comfort, reliability and low running costs. Honda are 100% dedicated to creating innovative cars for people around the world, and they do this by offering a model for everyone whether you need a family friendly vehicle, a city car, a 4x4 for off roading or something sporty. Welcome to our used Honda car pages! 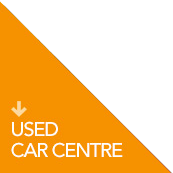 At Howards, you’ll discover a fantastic range of second hand Honda cars available to view in Taunton, Weston-super-Mare and at our Howards Used Car Centre. In our range, we have the used Honda Jazz, a spacious city car with a panoramic windscreen that provides a better view of the road. If you're after a used Honda Civic, a car that's great for speed lovers and is designed to carry families we have a large variety for you to choose from. We also have the Accord Saloon, Accord Tourer and Civic Tourer; all family cars that are available in our second hand Honda selection. Or why not opt for a 4x4 used CR-V, a model designed for driving off the beaten track! Minimum of 6 months of RAC warranty. Our team of Honda experts will help you every step of the way and will be at hand to answer any questions you may have about the used car that's captured your interest. For more details on our selection of used Honda cars, simply get in touch with your local Howards Honda dealership Taunton or Weston-super-Mare. Our sales team will be on-hand to help you with all your used car queries.